Dr. Suma Sudhindra, the celebrated veena artist from India, invited Spinifex for a tour in India. Together they will play at Ravindra Bharati, Hyderabad on 14 january; Amphitheatre UB City, Bangalore on 20 january; and India International Centre, New Delhi on 22 january. Karnatic music provides an inexhaustible source of musical material enriching Spinifex. 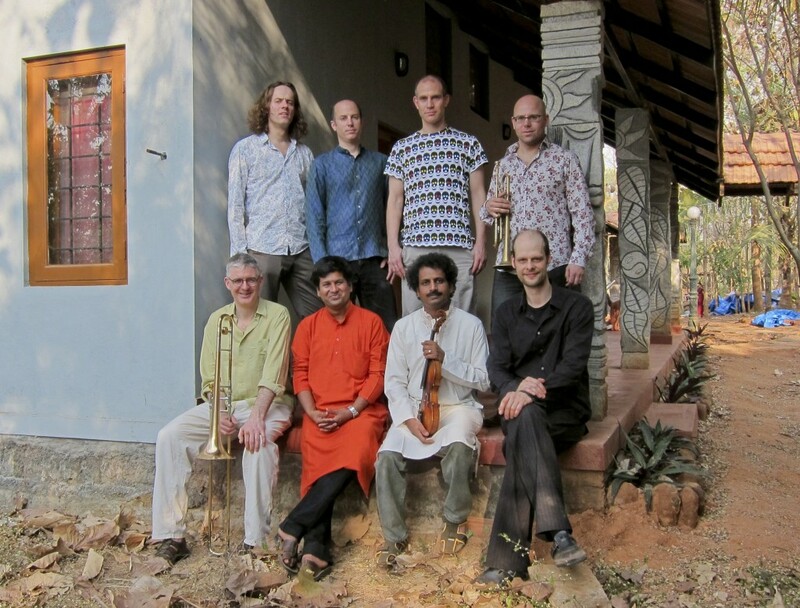 Gijs Levelt, Tobias Klein and Ned McGowan share a long history of collaboration with musicians from Southern India. Spinifex Indian Spin [FX] toured India in february 2011, with eleven days of rehearsals and concerts. The concert featuring the renowned veena player Dr. Suma Sudhindra at UB City (Bangalore) was very well received by the large audience. At Fireflies Festival, violin master Dr. Mysore Manjunath joined us. The crowd of some 3000 people went crazy — a once-in-a-lifetime experience for the Spinifex musicians. They also did a wonderful jam session with percussion master A.R.A.K. Sharma. Spinifex Indian Spin [FX] will tour in the Netherlands in the 2nd half of may 2012. In june we did two preview concerts, among which a succesful and very well-attended gig at Mundial Festival, Tilburg.